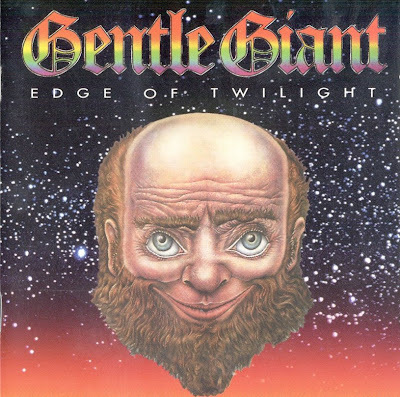 This 2-CD Gentle Giant anthology from Polygram UK contains material from Gentle Giant, Acquiring The Taste, Three Friends, Octopus, and The Power and the Glory. The recordings have all been remastered. The set comes with a 12-page booklet containing an original essay and several photos. The album was originally going to be called "Dusky Voices," but this name was dropped. Nevertheless, some CD catalogs list "Dusky Voices" as a Gentle Giant album. Some copies of the album have a sticker that states: "Includes many tracks previously unavailable on CD." I'm not completely sure what this means. All of the songs have previously been released on CD, but it's possible that some alternative master tapes were used. Most notably, this set is the only CD release containing a correct recording of Acquiring The Taste (song) without the defective "bend" found in most other copies.